Our quality concerned company has been serving several industries with packaging machines for more than a decade. 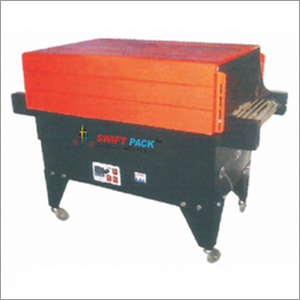 If you want packaging machinery, like shrink tunnel in Delhi, then contact us today. We, a professional manufacturer and supplier will give you the shrink tunnel according to your requirement, which can be used for several operations, like shrink labels, forming primary barrier on food items, as well as applying temper resistant seals. Our offered shrink machine can be identified based on its model, tunnel size, voltage, power consumption, conveyor loading, heating furnace, external dimensions, speed, heating time, cooling time and net weight. We can assure you, our machine when installed will work in consistent speed without any hassle and will require minimum maintenance. For further quarries you can contact any of our representative.